Before any chat gets offered to an agent it's routed through a chat flow, just like incoming calls are routed through a call flow. 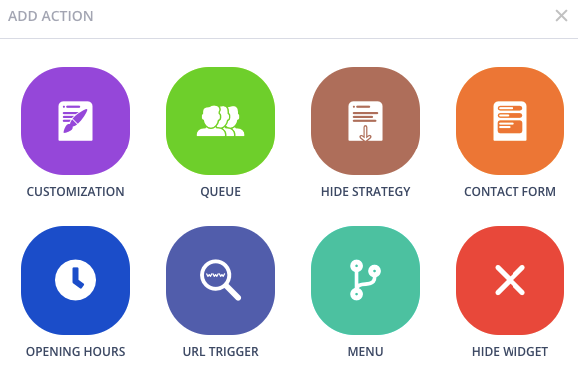 Chat Flows are also used to customize the look of your chat widget. Click on Edit Flow next to the widget that you wish to edit. - Choose from the supported languages for the widget. The following languages are supported: Danish, Dutch, English, Estonian, Finnish, French, German, Italian, Latvian, Lithuanian, Norwegian, Polish, Portuguese, Russian, Spanish, and Swedish. Select which queue the chat conversations should be delivered to. Select which queue the contact form messages should be delivered to. Choose what time of each day of the week the chat widget should be shown. With the Menu action you can have chat conversations go to different queues depending on what option the customer chooses in the menu. No chat widget or contact form will be shown on you site. 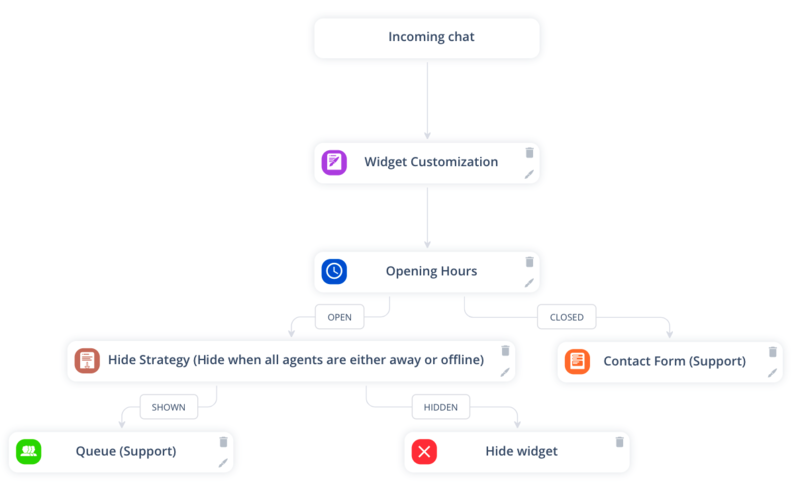 Example chat flow which only shows the widget when agents are online. One final thing to note is that if you wish to add a new action to a chat flow, then you must delete any action that will come after it in the flow before you can add it.